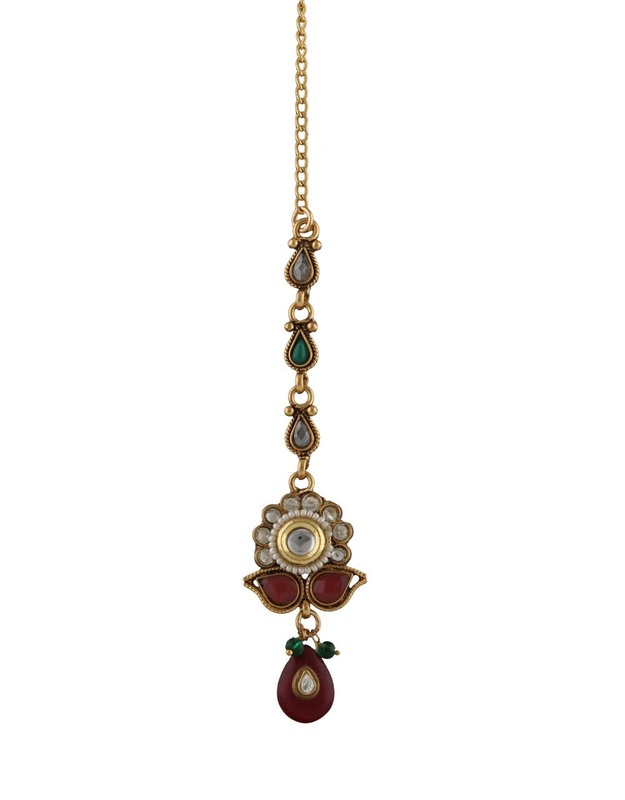 A must have in your accessory collection. 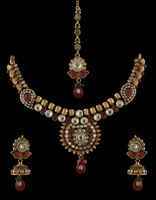 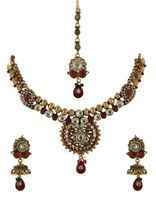 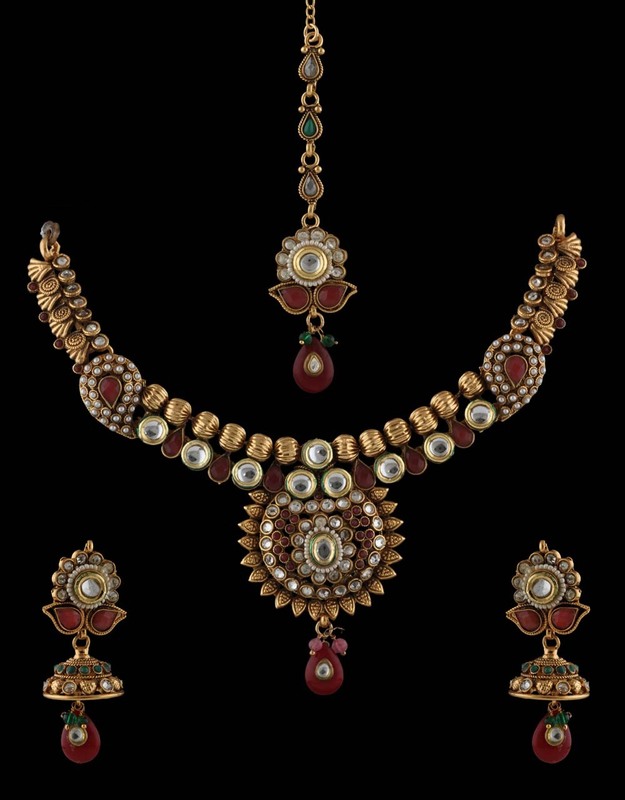 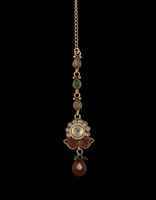 This maroon colored necklace set from the house of Anuradha Art Jewellery looks super classy & attractive. 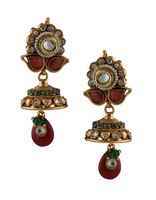 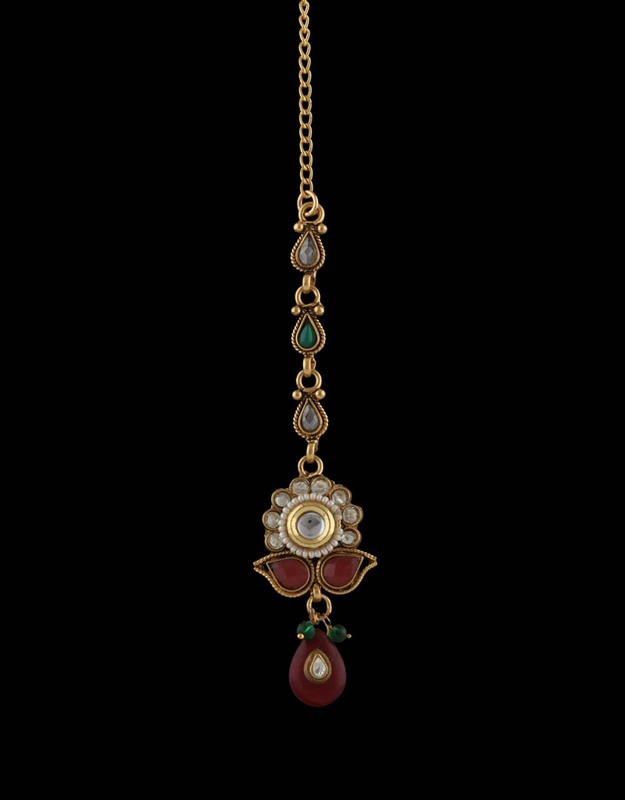 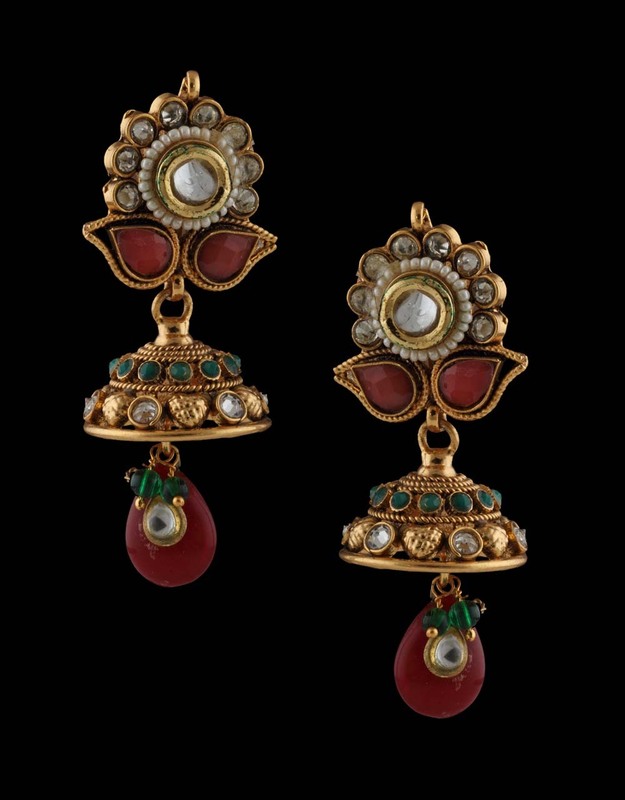 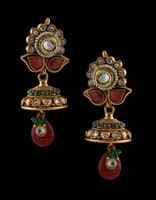 It is perfectly studded with maroon colored stones & kundan; fashioned from 40% silver & golden polished copper. This Necklace comes with an adjustable dori, so that you can fit according to your neck.